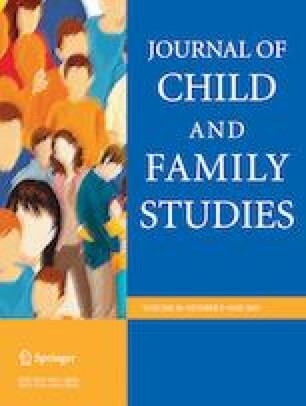 Despite extensive literature describing the associations between key life transitions from adolescence to adulthood and attitudes toward the gender division of labor, little research has been conducted to examine these associations among East Asian women who transition to adulthood in their unique context. Guided by interest-based and exposure-based explanations, we examined how transitions in adulthood are associated with young women’s attitudes toward the gender division of labor in South Korea. We also investigated whether the influence of employment transition strengthens or weakens when combined with marital and parenthood transitions. Our sample drawn from the 2007–2014 Korean Longitudinal Survey of Women and Families consisted of 870 women aged 19–28 years in 2007 (3,498 person-waves observations). The data were modeled using fixed effects logistic regression models. Entering the labor market (OR = 1.40) and being continuously employed (OR = 1.61) were associated with increased support for egalitarian attitudes toward the gender division of labor. These liberalizing effects were further augmented when women remained married (OR = 1.98), were about to marry (OR = 4.29), or were mothers of one or more children (OR = 2.08). Young Korean women develop egalitarian attitudes toward the gender division of labor when they encounter situations that strongly resonate with egalitarian ideals or benefit from gains through employment. This study advances how women’s attitudes toward the gender division of labor are understood by revealing both the singular influences of distinct transitions and the interactive influences of combined transitions in the South Korean context. The author declares that the author has no conflict of interest. Korean Women’s Development Institute (2016). User’s guide for the Korean Longitudinal Survey of Women and Families, Wave 1 to Wave 5. http://klowf.kwdi.re.kr/content/data/etc.jsp. Organisation for Economic Co-operation and Development (2017). Indicators of gender equality in employment. http://stats.oecd.org/index.aspx?queryid=54751. Statistics Korea (2017a). Opinions on women in the work force (13 years old and over). http://kosis.kr/eng/statisticsList/statisticsList_01List.jsp?vwcd=MT_ETITLE&parentId=B#SubCont. Statistics Korea (2017b). Women’s lives through statistics in 2017. http://kostat.go.kr/portal/korea/kor_nw/2/1/index.board?bmode=read&bSeq=&aSeq=361305&pageNo=1&rowNum=10&navCount=10&currPg=&sTarget=title&sTxt.